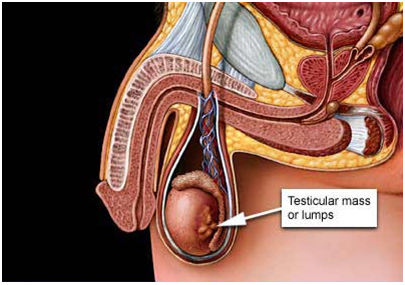 Testicular cancer treatment and surgery India offers information on Testicular Cancer Doctor India, Testicular Cancer treatment and surgery Hospital India, Testicular Cancer treatment and surgery Abroad, Testicular Cancer causes, symptoms, Risk factors, treatment and surgery. Compared with other types of cancer, testicular cancer is rare. But testicular cancer is the most common cancer in American males between the ages of 15 and 34. The cause of testicular cancer is unknown. An undescended testicle (cryptorchidism) : The testes form in the abdominal area during fetal development and usually descend into the scrotum before birth. Men who have a testicle that never descended are at greater risk of testicular cancer than are other men are. The risk remains, even if the testicle has been surgically relocated to the scrotum. Still, the majority of men who develop testicular cancer don't have a history of undescended testicles. Abnormal testicle development Conditions that cause testicles to develop abnormally, such as Klinefelter's syndrome, may increase your risk of testicular cancer. Family history If other family members have had testicular cancer, you may have an increased risk. Age : Testicular cancer affects teens and younger men, particularly those between ages 15 and 34. However, it can occur at any age. Race : Testicular cancer is more common in white men than in black men. The reason for racial differences in the incidence of testicular cancer is unknown. A testicular ultrasound test uses sound waves to create a picture of the scrotum. During an ultrasound you lie on your back with your legs spread. Your doctor then applies a clear gel to your scrotum. A hand-held probe is moved over your scrotum to make the ultrasound image. Your doctor may order tests to determine the levels of tumor markers in your blood. Tumor markers are substances that occur normally in your blood, but the levels of these substances may be elevated in certain situations, including testicular cancer. A high level of a tumor marker in your blood doesn't mean you have cancer, but it may help your doctor in determining your diagnosis. If your doctor determines the lump on your testicle may be cancerous, he or she may recommend surgery to remove the testicle. Your testicle will be analyzed in a laboratory to determine if the lump is cancerous and, if so, what type of cancer. In general, a biopsy or removal of the lump alone isn't used when testicular cancer is suspected. However, a biopsy may be an option in certain situations, for instance, if you have only one testicle. Seminoma : Seminomas occur in all age groups, but if an older man develops testicular cancer it is more likely to be seminoma. Seminomas, in general, aren't as aggressive as nonseminomas, and are particularly sensitive to radiation therapy. Nonseminoma : Nonseminoma tumors tend to develop earlier in life and grow and spread rapidly. Several different types of nonseminomatous tumors exist, including choriocarcinoma, embryonal carcinoma, teratoma and yolk sac tumor. Nonseminomatous tumors are sensitive to radiation therapy, but not as sensitive as seminomas. Chemotherapy is often very effective for nonseminomas, even if the cancer has spread. Computerized tomography (CT) : CT scans take a series of X-ray images of your abdomen. Your doctor uses CT scans to look for signs of cancer in your abdominal lymph nodes. X-ray : An X-ray of your chest may determine whether cancer has spread to your lungs. Blood tests : Blood tests to look for elevated tumor markers can help your doctor understand whether cancer likely remains in your body after your testicle is removed. Cancer is limited to the testis. Cancer has spread to other parts of the body. Testicular cancer most commonly spreads to the lungs, liver, bones and brain. Surgery to remove your testicle (radical inguinal orchiectomy) is the primary treatment for nearly all stages and types of testicular cancer. To remove your testicle, your surgeon makes an incision in your groin and extracts the entire testicle through the opening. A prosthetic, saline-filled testicle can be inserted if you choose. You'll receive anesthesia during surgery. All surgical procedures carry a risk of pain, bleeding and infection. You may also have surgery to remove the lymph nodes in your groin (retroperitoneal lymph node dissection). Sometimes this is done at the same time as surgery to remove your testicle. In other cases it can be done later. Your lymph nodes are removed through a large incision in your abdomen. Your surgeon takes care to avoid severing nerves surrounding the lymph nodes, but in some cases severing the nerves may be unavoidable. Severed nerves can cause difficulty ejaculating, but won't prevent you from having an erection. A newer technique called nerve-sparing surgery may be an option. In cases of early-stage testicular cancer, surgery may be the only treatment needed. Your doctor will give you a recommended schedule for follow-up appointments. At these appointments — typically every few months for the first few years and then less frequently after that — you'll undergo blood tests, CT scans and other procedures to check for signs that your cancer has returned. If you have a more advanced testicular cancer or if you're unable to adhere closely to the recommended follow-up schedule, your doctor may recommend other treatments after surgery. Radiation therapy may be a treatment option if you have the seminoma type of testicular cancer. Radiation therapy uses high-powered energy beams, such as X-rays, to kill cancer cells. During radiation therapy, you're positioned on a table and a large machine moves around you, aiming the energy beams at precise points on your body. Side effects may include fatigue, as well as skin redness and irritation in your abdominal and groin areas. You may experience infertility as a result of radiation therapy. However, as the treated area heals you may regain your fertility. Chemotherapy treatment uses drugs to kill cancer cells. Chemotherapy drugs travel throughout your body to kill cancer cells that may have migrated from the original tumor. Your doctor might recommend chemotherapy after surgery. Chemotherapy may be used before or after lymph node removal. Side effects of chemotherapy depend on the drugs being used. Ask your doctor what to expect. Common side effects include fatigue, nausea, hair loss, infertility and an increased risk of infection. If your cancer hasn't responded to other treatments or if your cancer has returned, you and your doctor may consider other treatments. You may consider enrolling in a clinical trial. These research studies give you a chance to try experimental treatments and procedures that are being developed for future use. Clinical trials aren't guaranteed to bring a cure, and side effects of new medications may not be known. Ask your doctor about clinical trials that are open to people with testicular cancer, as well as the possible risks and benefits of experimental treatments. One treatment being studied for use in advanced testicular cancer is stem cell transplant. Before a stem cell transplant, you're given drugs that coax your body's bone marrow stem cells out of your bones and into your bloodstream. Then the stem cells are filtered from your blood and frozen for later use. You then undergo high doses of chemotherapy to kill any cancer cells in your body, which may also kill bone marrow cells. Your stored stem cells are thawed and put back into your body to replenish your bone marrow cells.